A presentation in red and white to celebrate the season. 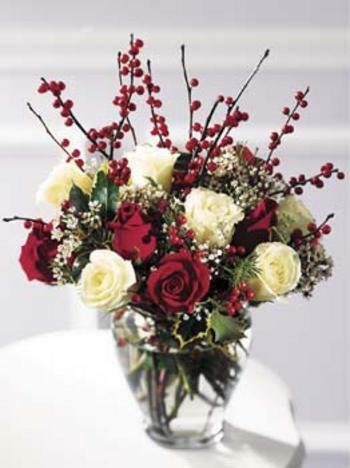 A Dozen White and red roses, white waxflower, and red berries are combined in this engaging bouquet. Sure to set a festive mood!